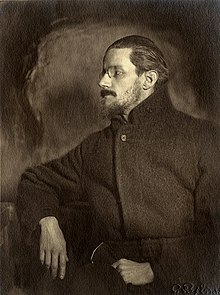 A Portrait of the Artist as a Young Man (1916) is a semi-autobiographical novel by James Joyce. It is a curious thing, do you know, Cranly said dispassionately, how your mind is supersaturated with the religion in which you say you disbelieve. White roses and red roses: those were beautiful colours to think of. And the cards for the first and second place and third place were beautiful colours too: pink and cream and lavender. Lavender and cream and pink roses were beautiful to think of. Perhaps a wild rose might be like those colours and he remembered the song about the wild rose blossoms on the little green place. But you could not have a green rose. But perhaps somewhere in the world you could. — And thanks be to God, Johnny, said Mr Dedalus, that we lived so long and did so little harm. — But did so much good, Simon, said the little old man gravely. Thanks be to God we lived so long and did so much good. Stephen watched the three glasses being raised from the counter as his father and his two cronies drank to the memory of their past. An abyss of fortune or of temperament sundered him from them.His mind seemed older than theirs: it shone coldly on their strifes and happiness and regrets like a moon upon a younger earth. No life or youth stirred in him as it had stirred in them. He had known neither the pleasure of companionship with others nor the vigour of rude male health nor filial piety. Nothing stirred within his soul but a cold and cruel and loveless lust. His childhood was dead or lost and with it his soul capable of simple joys, and he was drifting amid life like the barren shell of the moon. To merge his life in the common tide of other lives was harder for him than any fasting or prayer, and it was his constant failure to do this to his own satisfaction which caused in his soul at last a sensation of spiritual dryness together with a growth of doubts and scruples. Where was his boyhood now? Where was the soul that had hung back from her destiny, to brood alone upon the shame of her wounds and in her house of squalor and subterfuge to queen it in faded cerements and in wreaths that withered at the touch? Or where was he? He was alone. He was unheeded, happy and near to the wild heart of life. He was alone and young and wilful and wildhearted, alone amid a waste of wild air and brackish waters and the sea-harvest of shells and tangle and veiled grey sunlight and gayclad lightclad figures of children and girls and voices childish and girlish in the air. Heavenly God! cried Stephen's soul, in an outburst of profane joy. It wounded him to think that he would never be but a shy guest at the feast of the world's culture and that the monkish learning, in terms of which he was striving to forge out an esthetic philosophy, was held no higher by the age he lived in than the subtle and curious jargons of heraldry and falconry. Pity is the feeling which arrests the mind in the presence of whatsoever is grave and constant in human sufferings and unites it with the sufferer. Terror is the feeling which arrests the mind in the presence of whatsoever is grave and constant in human sufferings and unites it with the secret cause. His mind, emptied of theory and courage, lapsed back into a listless peace. — Then, said Cranly, you do not intend to become a protestant? — I said that I had lost the faith, Stephen answered, but not that I had lost self-respect. What kind of liberation would that be to forsake an absurdity which is logical and coherent and to embrace one which is illogical and incoherent? I will tell you what I will do and what I will not do. 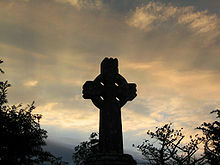 I will not serve that in which I no longer believe, whether it call itself my home, my fatherland, or my church: and I will try to express myself in some mode of life or art as freely as I can and as wholly as I can, using for my defence the only arms I allow myself to use — silence, exile and cunning.